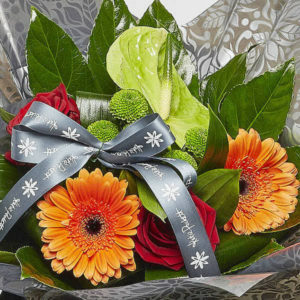 A stunning hand-tied bouquet creatively put together in the style of Katie Peckett and with your choice of coloured Gerberas. 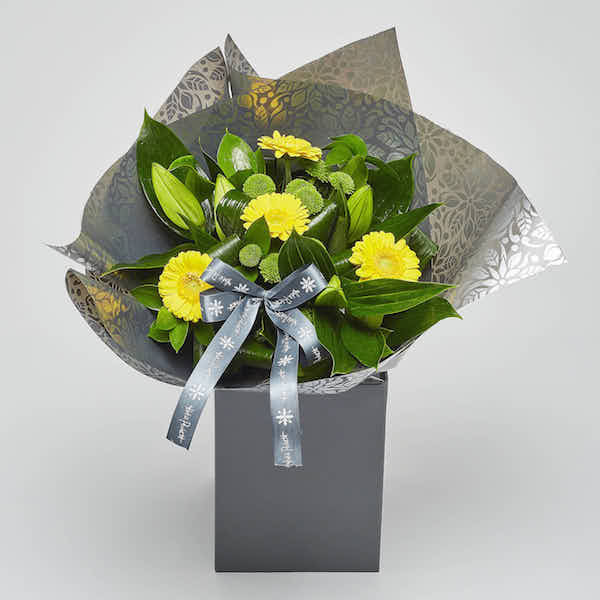 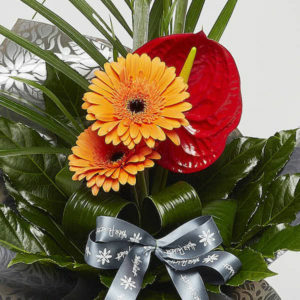 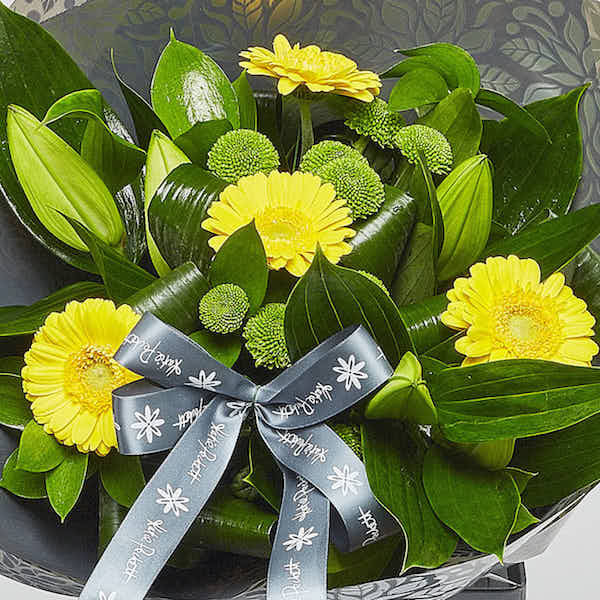 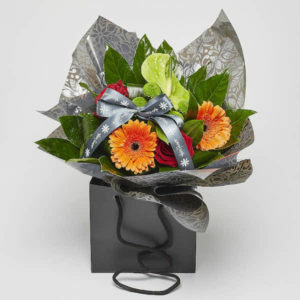 Containing Oriental Lillies, Gerberas, Feeling Green Chrysanthemums, rolled Aspadistra leaf and seasonal foliage. 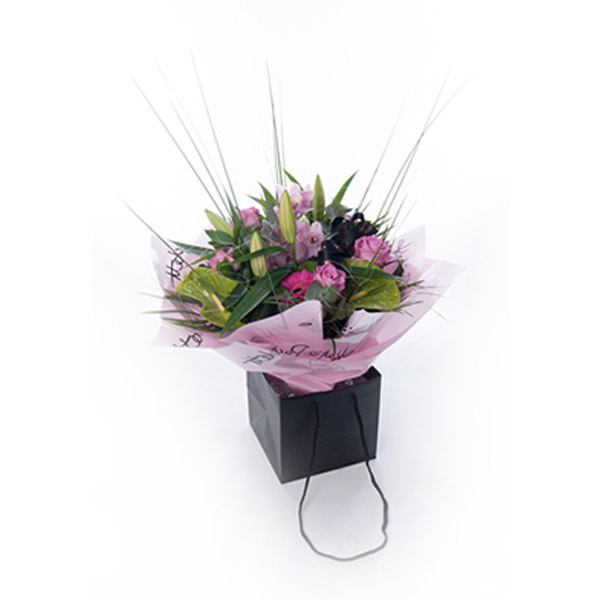 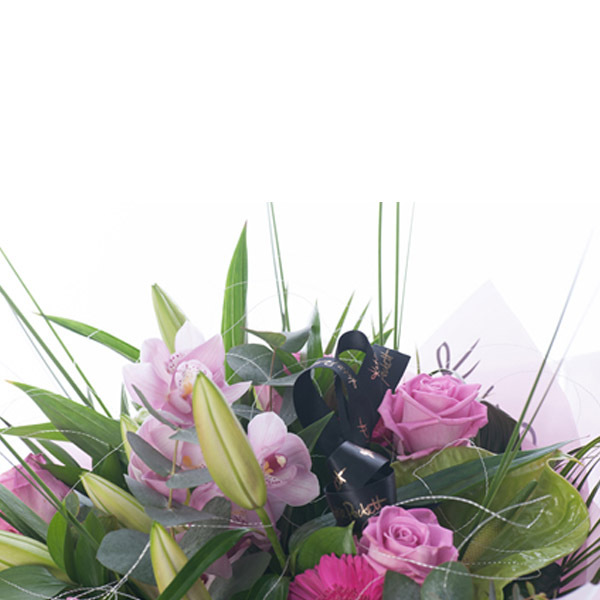 A beautiful traditional gift bouquet suitable for all occasions. 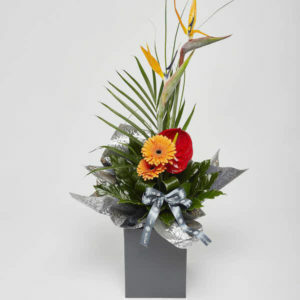 SKU: KP_008. 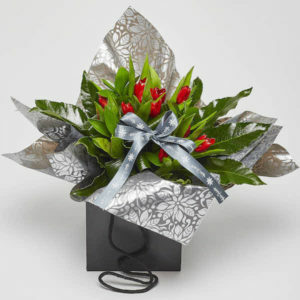 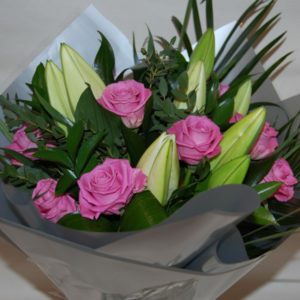 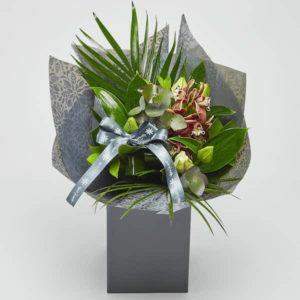 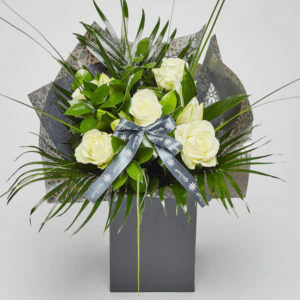 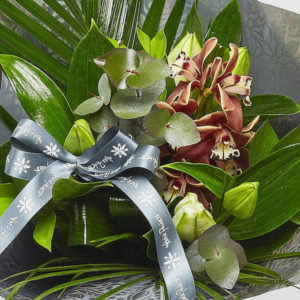 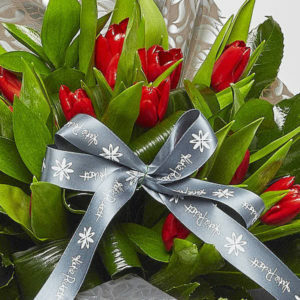 Availability: In stock Size: N/A Categories: Bouquets, Mothers Day.